I am in the misdt of preparing for a cool kids party but havent forgotten about you all...plus you already know I LOOVE to create and post and keep this blog going. Here sharing a couple of quick cards you can CASE at home. CASE= Copy All Share Everything. Buenos dias mis queridas stampers! Estoy en el medio de preparaciones para un cumpleanos de mis ninos bien chevere...mas no me he olvidado de ustedes para nada....ya saben cuanto me gusta hacer esto. Aqui le comparto algunas tarjetitas rapidas que hice y que usted puede copiar. (CASE= copiar todo y compartir todo). My first card I made with the new Designer Typeset stamps. So many possibilities! 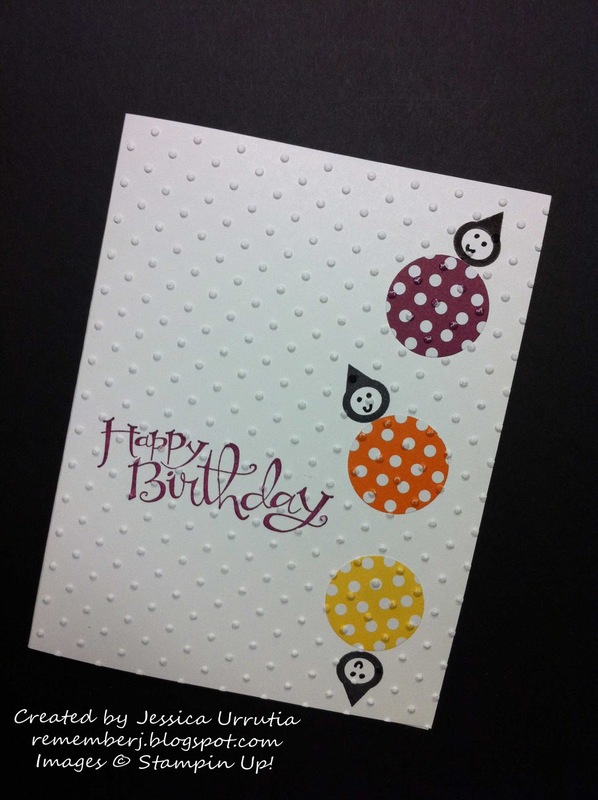 A fun card for a future birthday! The face I drew with a marker. You can see this set HERE! Mi primera tarjetita la hice usando el set de sellos Designer Typeset. Tantas posibilidades! Una tarjetita divertida para un futuro cumpleanitos! La carita la hice con un marcador. Puede ver este set AQUI! In my next card I used the full set of Fancy Friends Kit. This one includes notes, envelopes, 2 stamps, 2 ink spots, punched flowers and rhinestones. Is awesome! Here I added a Vintage Designer Button and a piece of Designer Series Paper International Bazaar. Pretty eh! Cheer up and check it out this versatile set. Is great also for a gift for a friend, daughter or niece! Mi proxima tarjetita use el set de sellos completo Fancy Friends. Este set incluye 6 notas, 6 sobres, 2 sellos, 2 tintas, florecitas y brillantitos. Es un exito! Aqui le anadi un boton de los "Vintage" y un pedazo de papel de disenador International Bazaar. Bonita eh! Animese y chequee este set de sellos tan versatil. Es excelente tambien para un regalito! Su amiga o sobrina le encantara! Awww, thanks Aileen! You are awesome...cant wait to go see what you are making. You inspire!! Loooooove this cards, specially the happy birthday one. It makes me want bounce! Thanks dear friend. Haha!! I knew you would like that one. Is fun!!! Big hug!! 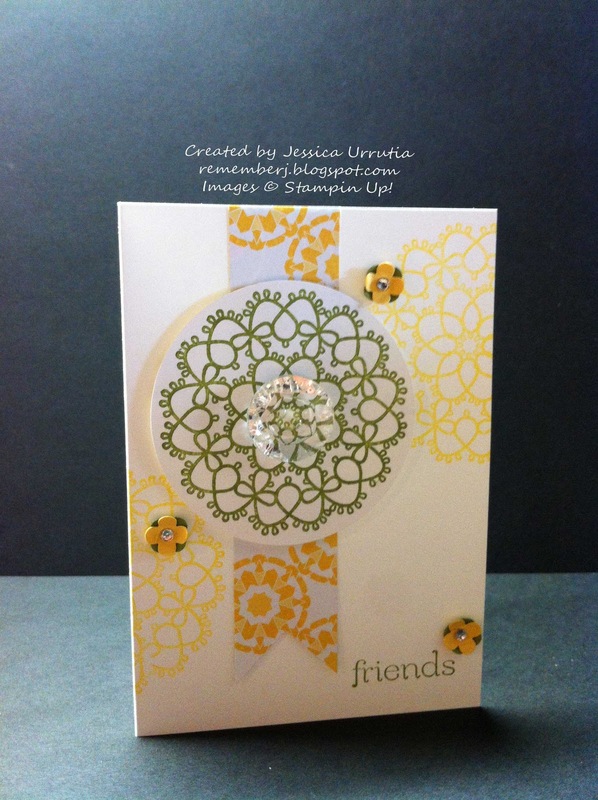 I love the fancy friends card- it is such a FUN spring card! Have a great day! You too my sweet friend. You aalways bless me!! !